I realize i have little feedback here and may raise some flags. I'm thinking about offering a service for the guys/girls on some forums i enjoy. I've been working for Bosch than Volvo and BMW in Europe, but my love for those cars is pretty much gone and I've been a Vintage Mercedes Enthusiast for a while. I remember the difference a clean injector makes in the way the car runs and how often i used to see them in poor condition. 1. Initial Visual Inspection - Check the injectors for signs of physical damage. 4: De-filtering - Remove the old filters in preparation for ultrasonic cleaning. 6. Purge the injectors - Install the injectors on the Fuel rail and spray into a container to ensure none of the fluid we use in the ultrasonic cleaner gets put into the calibration fluid. 7. Initial flow - Flow through the machine checking for spray pattern and any signs of malfunction. 8. Filter Basket installation - Install the new filter basket. I can do 2 kits a day or 3-4 on a weekend. So the turnaround should be 24-48 hours (please allow for more time if you have faulty injectors. Both options will include a new repair kit. New o-rings, new spacers and new filters. You can use the small flat rate box that will be $6.10 shipped anywhere in US and can fit about 3 sets easily. If you care to see how specific injectors were performing, you need to mark each of them with the Cylinder number and i will make sure i keep those numbers for your record. Please note you forum ID on the package to help me keep track of communication. Last edited by MEPEH; 04-25-2013, 04:44 PM. I have to tell you this has been the best car part experience I've ever had. You communicate "Perfectly" and you do exactly what you say you will. I've been little impressed with the human race latley and you've been a ray of hope with your superb handling of this transaction. I wish you and yours health, wealth, and happiness. Last edited by MEPEH; 04-25-2013, 04:31 PM. Will be in contact come winter time! I strongly recommend this guy. I had him to two sets and always dirt cheap, instant turn around and excellent communication. Has anyone tried going with 30lbs injectors ? This Bosch injector is 30lbs/hr at 43.5 psi and has a coil resistance of 2.7 Ohms. Last edited by MEPEH; 04-26-2013, 05:09 AM. Is there any benefit to using 30lb injectors on an otherwise stock motor with a performance chip? Though i see a lot of guys saying that they've been running these for a year and everything is great. 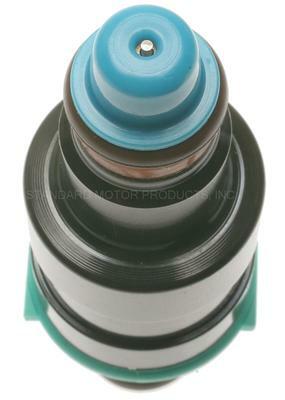 Stock injectors are never operated at full potential and the DME is able to compensate for increases in fuel supply. The reason i want to offer them is availability and super cheap price for used injectors. Its great to have a cheaper alternative to RC Engineering who I've used for years! The Volvo green top Bosch injectors run about 290cc or Ford Motorsport red tops 300cc (both low impedance) and are usually a good substitute for more expensive BMW EVO injectors... The stock DME will continue to function as if they are stock 240cc injectors but what I've found is the car will tend to run a little rich, so it's best used in cars with 284 cams or bigger, a 2.5L build. The high impedance Volvo orange tops 305cc's work very well with aftermarket ECU's... These swaps have been used for years in racing in particular. It seems all the alternative injectors have become a favorite at yards making them much harder to come by these days. I have about 10k views on my threads related to injector service and it's getting harder to keep track of communication on different forums, so I decided to add a web page for those interested in reaching out to me. You can use the form on the Contact Us page and i'll get the message instantly on my phone. Very convenient to keep track of the orders. I added a facebook page as well and will be able to communicate easier through it.